“Boy Genius” and “Wunderkind” are just some of the terms that have been used to describe Vitalik Buterin, the 24-year-old co-founder of Ethereum. The Russian-Canadian math genius is responsible for creating Ethereum, the second most valuable cryptocurrency in the world. 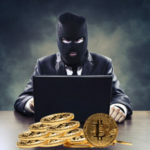 Unlike the unknown Bitcoin creator, Satoshi Nakamoto, whose identity remains a mystery to this day, Vitalik is a known face in the cryptocurrency and blockchain communities. 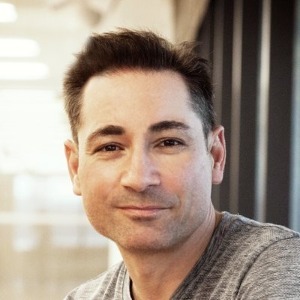 He has continued to lead the way in the development and advocacy for the blockchain tech movement. He is even a regular participant in conferences and online discussions centered around not just only the technical aspects of the technology, but also the general philosophy and how it affects mankind. Vitalik was born on January 31, 1994, to Dmitry Buterin and Natalia Ameline. He was born in the ancient city of Kolomna which lies about 100km southeast of Moscow. His father, Dmitry is a computer scientist. In the year 2000, when Vitalik was 6 years old, his family moved from Russia to Canada. Vitalik has always been something of a child prodigy and while in the third grade of elementary school, his precocious learning abilities were noticed and he was subsequently placed in the gifted program of his school. From an early age, he developed an aptitude for math, economics and computer programming. He began attending Abelard School, a prestigious private high school in the Toronto Area of Canada. He spent four years at Abelard showing an enormous aptitude for learning and the desire to focus on intellectual inquiry. In 2012, he gained admission into the University of Waterloo but dropped out the following year. By his own admission, his interest in cryptocurrency projects was beginning to take a toll on his studies and he needed to simplify things. He dropped out to focus on his crypto career and later that year, he wrote and published the Ethereum white paper. Beginning sometime in the year 2007, Vitalik became an avid player of the online roleplaying game, World of Warcraft. From 2007 until 2010, Vitalik spent hours collecting weapons and advancing in the vast storyline of the game. It all came to a halt in 2010 when Blizzard removed the damage component of the Siphon Life spell of his warlock game character. Vitalik has admitted to having been profoundly affected by this incident which even made him cry himself to sleep on the night that it happened. Being a deeply philosophical person, this incident brought home to him the problems that are inherent in centralized services. He soon quit playing World of Warcraft and set out to pursue other interests. In 2011, when he was 17 years old, Vitalik learned about Bitcoin from his father. The concept of a cryptocurrency didn’t immediately appeal to him, so he didn’t give it much attention at first. The idea of a currency system that didn’t have an intrinsic value seemed like something that was doomed to fail as far as he was concerned. A few months later, he came across Bitcoin again; but this time it made more of an impression. With the effects of the World of Warcraft debacle still fresh on his mind, Bitcoin and blockchain technology presented a viable alternative for the centralization that, in Vitalik’s mind, was responsible for most of the ills in the world. 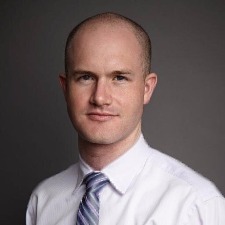 His negative view of the corporate world and their desire for centralized control was in tandem with the vast majority of the early Bitcoin adopters. As far as Buterin was concerned, power was a “zero-sum game” which meant that the big players had to be dis-empowered if the common man was to ever become empowered. With his interest in Bitcoin piqued, Vitalik set his heart on acquiring some Bitcoin in order to be able to understand the concept. He also wanted to be a part of the burgeoning and experimental Bitcoin economy. At that time, he didn’t have the financial resources to afford to buy Bitcoin and he also didn’t have the computing power to mine Bitcoin. By 2011, the mainstream Bitcoin mining scene had moved past CPUs and GPUs, into the arena of FPGAs. Undeterred, he crawled through online Bitcoin forums looking for people who were willing to pay for work in Bitcoin. He soon encountered a fellow on a Bitcoin chat forum who offered to pay Vitalik 5 Bitcoin per article. This amounted to about $3.5 per article. Vitalik’s prolific writing style soon caught the attention of Romanian Bitcoin enthusiast Mihai Alisie, and the two soon began corresponding frequently with each other. By late 2011, the two had co-founded Bitcoin Magazine, with Vitalik as Head Writer. Bitcoin Magazine soon became the leading cryptocurrency publication as it transitioned from online to print media format, until it was acquired by BTC Media. 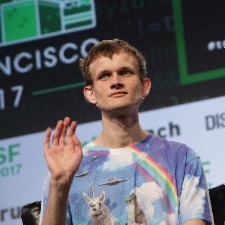 Vitalik continued his writing post until 2014. With almost 2 years of experience writing about Bitcoin and getting feedback from the Bitcoin community, Vitalik became more entrenched in the blockchain world. it didn’t take long for him to see what a few others in the community were beginning to see; that blockchain technology had the potential to support more than just a payment processing system. He tried unsuccessfully to pitch the concept of creating a more application-friendly build of the core Bitcoin network that would allow the creation of useful, decentralized apps without the need for functionality-layering procedures. Unable to convince the Bitcoin community at that time, Vitalik set about writing a whole new blockchain. Rather than use the “crude” scripting language that Satoshi Nakamoto had used, Vitalik employed a more refined and robust Turing-complete programming language. This meant that the new blockchain could theoretically support any type of use-case straight from the core network build without any layering. Vitalik wrote the white paper for the new blockchain and christened it Ethereum. He released the white paper to a few friends and associates who spread the word further. The idea turned out to be a massive success, and the next year a public crowdsale was held for the project which raised about $18.4 million dollars. The Ethereum Foundation was established in Switzerland. Shortly afterwards, in the spring of 2015, the first version of Ethereum was released and it has gone on to become the most popular blockchain platform for Decentralized Autonomous Organizations (DAOs), Decentralized Applications (DApps), and Initial Coin Offerings (ICOs). Ether, which is the native currency of the Ethereum blockchain is the second most valuable cryptocurrency in terms of market capitalization. On June 26, 2017, the news of Vitalik’s demise in a car crash broke out on the internet. The source of the death hoax was a posting on the 4chan online forum with the post being quoted by numerous online articles. The rumor was quickly dispelled when Vitalik provided proof of life on social media. He posted a photo himself holding a piece of paper that showed the latest Ethereum block number with the corresponding hash. The news of Vitalik’s death caused the price of the Ether to fall considerably. Investors flooded the market with sell requests fearing the price would tank. The market cap of Ethereum fell by almost $4 billion but it recovered soon afterward.